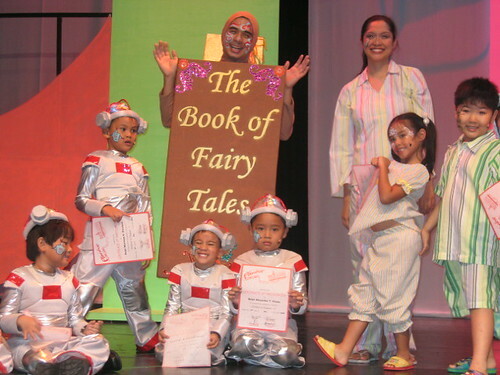 In the summer of 2006, Rap attended the Children's Musical Theater workshop of Trumpets Playshop in Shangri-la Plaza mall. 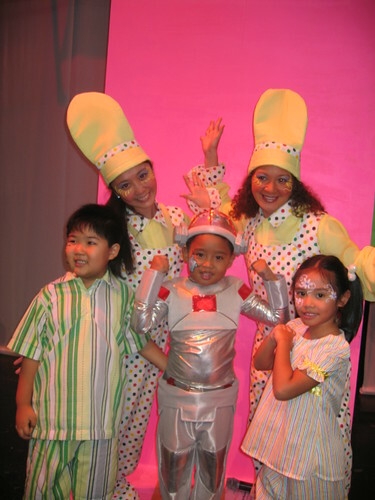 His class presented a play entitled "The Best Toys" and he was dressed up as a robot. The experience awakened his love for singing and performing that we continued to enroll him in voice lessons in the summer vacations that followed. It's summertime once again and Trumpets Playshop is aoffering summer workshops for kids and teens. They don't only have singing and acting classes but they also teach streetdance, public speaking and hosting, modelling, and photography. You can visit the Trumpets Playshop website for more details. The 2011 schedule is already available for downloading.